If you sit for long periods of time, hunch over your phone or your laptop screen, slouch or generally have bad posture, you could be causing yourself health issues. More and more people are working at desk jobs than ever before and more and more people are hunching over to look at screens than ever before. This leads to a number of issues. Poor posture can stress the spine and lead to early wear and tear on your back. Unfortunately, poor posture is becoming more and more of a problem these days, thanks to technology. According to Dr. Kenneth K. Hansraj, chief of spine surgery at New York Spine Surgery & Rehabilitation Medicine, looking down at a cell phone, tablet or computer screen is like having a 60-pound weight on your neck. The average person spends between two and four hours in this position every day. This can cause problems for your back and for your overall health. 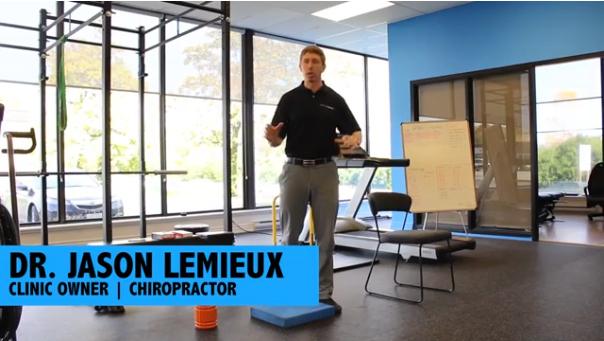 Here are a few common issues that can result from poor posture. A ROUNDED BACK: This condition is commonly known as a “hunchback.” It is a situation where your spine forms into a C shape near the top of your spinal column. It’s often accompanied by pain in the shoulders, neck and back. It can also cause your upper back muscles to weaken. A hunchback is caused by sitting hunched over for extended periods of time on a regular basis, such as looking at a computer screen or cell phone. ROUNDED SHOULDERS: This is a situation where your shoulders rotate forward due to your chest muscles weakening. Rounded shoulders cause neck pain, back pain and shoulder pain. This condition can be caused by sitting or typing with poor posture. NERVE CONSTRICTION: Bad posture can cause your spine to change shape, which can put pressure on the surrounding spinal nerves. This can cause pain in the neck and the back, but also throughout the body since the nerves that connect to the spine come from all over your body. TENSION HEADACHES: Sitting hunched over tightens the muscles in your neck, shoulders and upper back. Over time, this tightness restricts proper blood flow to the back of your head which can lead to tension headaches. POOR DIGESTION: When you sit in a crunched position, your intestines get folded up and constricted. This can lead to poor digestion. The good news is that you can take steps to improve your posture and your life. While poor posture does have many negative consequences, there are many things that you can do to fix your posture and reduce the unfortunate issues that come from having poor posture. Of course, the most obvious is to correct your posture going forward. Pay attention to how you sit and stand throughout the day and take steps to correct your posture. You’ll find that there are many, many benefits to proper posture. If you’re already suffering from some of the negative effects of poor posture, one of the best solutions is stretching and exercise. However, if you’re experiencing significant pain or negative issues due to poor posture, you’ll likely be able to find relief through physiotherapy or chiropractic. By working with a professional, you’ll be able to eliminate the pain associated with poor posture and avoid further difficulties down the road. If you do need help, don’t hesitate to give us a call. Remember, at Physiomed… Healthier Starts Here.